Autism, what is it? We often hear it mentioned and spoken about through public service announcements, through books and movies, or through knowing someone personally affected by autism. I’m going to tell you one family’s story, how autism touched their lives, and how their local and state community helped them through it all. Autism, also referred to as Autism Spectrum Disorder or ASD, is a series of disorders that relate to brain development. They are characterized by “difficulties in social interaction, verbal and nonverbal communication and repetitive behaviors.” (“Autism Speaks,” 2014) The spectrum of autism means that each case is different. Some with autism are gifted and very skilled in one area. Many individuals with autism are very bright, “40 percent have average to above average intellectual abilities” (“Autism Speaks,” 2014), while others on the spectrum are unable to be independent in their daily tasks. According to the Center for Disease Control and Prevention, 1 in 68 children in the United States has been identified as being on the autism spectrum. Boys are more likely to be identified as having ASD, with 1 in 42 (Centers for Disease Control and Prevention, 2010). 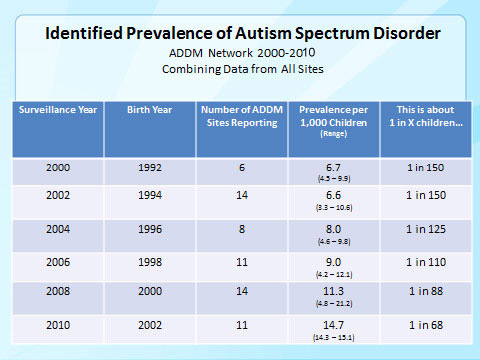 Research indicates that the prevalence of ASD in children is rising. To find more about the diagnosis process and other supports available in Vermont, I got in touch with a mother of a son with autism. When first corresponding with Ms. Winters she admitted that she initially wasn’t concerned about her son’s lack of communication and odd mannerisms. 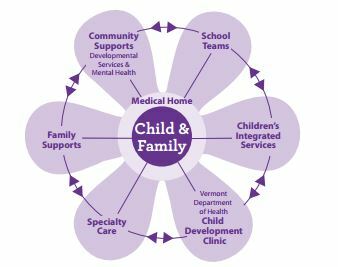 Vermont provides early intervention services for families of children ages birth through three years of age. The services are provided through the Individuals with Disabilities Act (IDEA), and includes various supports for children with developmental delays or with a diagnosed condition that often results in a developmental delay. (Vermont Agency of Human Services, 2014) The services provided are unique to each child and their individual needs. Ms. Winters received a summary of the report after the clinic. The recommendations that she received allowed for her to go forth to help Jason become eligible for EEE services. They created an Individualized Education Program (IEP). The IEP outlined Jason’s strength’s and weaknesses. The team worked with Ms. Winters to create goals for Jason that would help him with his development, and allow for him to work on his skills and work toward becoming more independent and preparing him for kindergarten. The center offers programs for the school year and summer. As well as offering a daily program, it also holds a list of other various family and child supports. 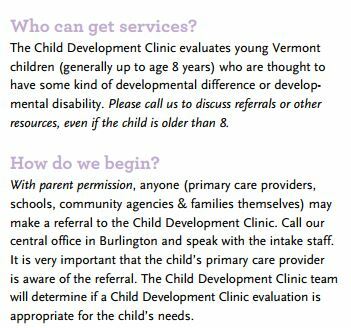 For more information about autism in Vermont, see, for example, the Vermont Family Network’s Autism Web Resources or the online pamphlet Next Steps: A Guide for Families with Children with Autism Spectrum Disorders. Sarah Carpenter is a native Vermonter and a very recent graduate from the University of Vermont, where she studied elementary education. 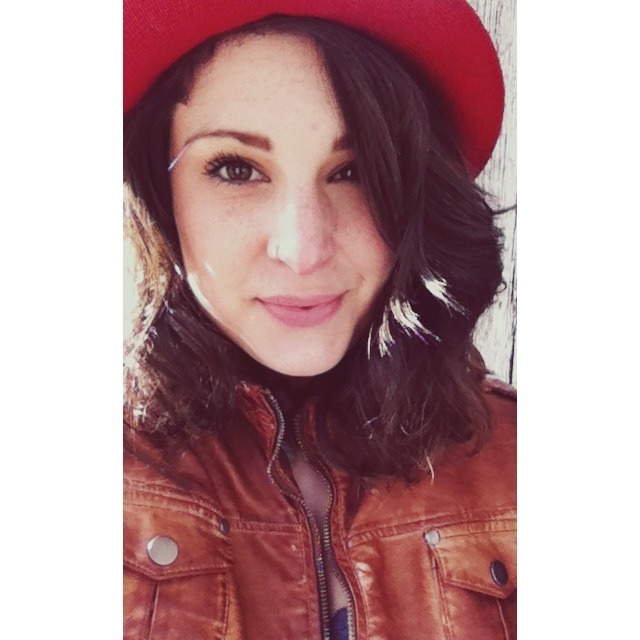 She loves to write, create art and travel, and has a passion for psychology. She currently resides in Southern Vermont, but plans to move elsewhere in the near future to pursue her master’s degree in social work.